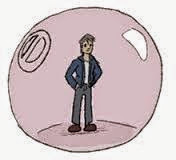 Fidelis Journey to Life: Day 245 The great Gifts ( And Downfalls) Of Being an Introvert - Is Change possible? 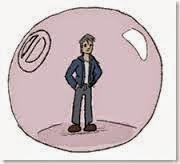 Day 245 The great Gifts ( And Downfalls) Of Being an Introvert - Is Change possible? 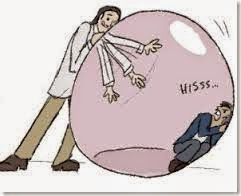 I have been looking over the internet and at the general idea of how people see Introverts. I have defined myself as an introvert and many points I read I can relate to. 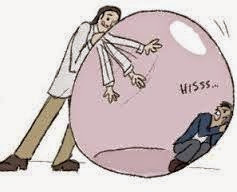 So today I want to give some perspective on introverts from personal experience, because what I have found in my life is that people do not fully understand the nature of an introvert and this leads to miscommunication and other problems. Another point I came across is that the people who wrote these post about being introverts have another thing in common – there is the belief that they will never change and always be introverted. Or specifically that if you are an introvert – you cannot change it. This is false, you can change it you should change it in fact, not by becoming an extrovert, but by understanding that even though introversion has its benefits it also has major drawbacks especially in relationships. Introverts do not speak much. In social situations I tend to simply observe and be perfectly content with listening rather that actually speaking. This gave me great insight towards people in general – My eyes trained well over the years so I can pick up on small things in people, like moods for example. Also became a very good listener. Unfortunately the drawback of this is unable to communicate effectively in a group. I always disliked this part – small talk. For example talking about the weather, “ it’s a cold day today” – yes I know that thanks, I can feel it just fine. It is not that I dislike talking; I would have no problem talking about something I enjoy, but never saw the point in small talk and mostly think it’s a waste of time. When I do talk I use only the words necessary to convey what I would like to say. I also tend to not respond immediately, I choose my words carefully before I speak which might seems strange to some people when they ask me something and there is a silence. This also falls in with being an observer and the drawback here is not developing effective communication. I now find it very hard to express exactly how I feel with words and sometimes I cannot find the words right away and need to really look deep. Writing is fine, because it gives me time to look. I always liked being alone and spending time with myself. It does not mean I always want to be alone, simply that I enjoy spending time with myself. I am comfortable with being by myself which is a cool thing. The only problem here is that when I am in social situations for too long I want to get away and be by myself again. Yes. Most people have an issue with conflict and would like to avoid it, introverts more so, Because dealing with conflict means dealing with very forward kind if aggressive people which is something introvert really do not like. The reason for this is because of the lack of communication skills. Imagine a person being angry and starts shouting at you demanding things right now – and being an introvert needing time to look for words dealing with a person who simply spits out words – not a match there. So what I will do on my next post is go onto more detail and show why it’s beneficial being an introvert and a curse and how to change the cursed parts and keep all that is good to become a more effective human being. cool Fidelis, thanks for this. I can relate on all fronts here. In certain professional settings small talk is so the norm, I am now able to do it without disliking it anymore... in fact, I am indifferent now.. what I will do is look at the point and find something I like in it, for example the weather, I will comment on the changing colour of the leaves or something that strikes me as worth mentioning. Day 248 - What if tomorrow did not come?